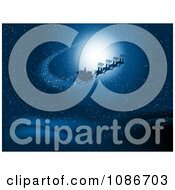 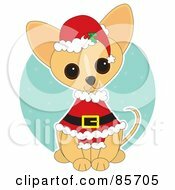 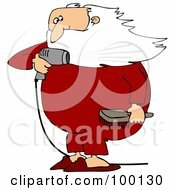 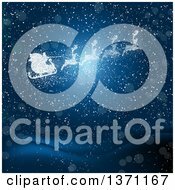 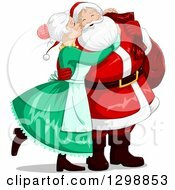 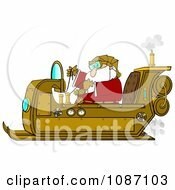 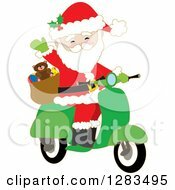 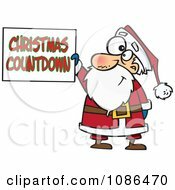 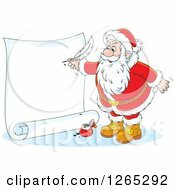 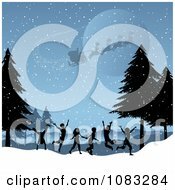 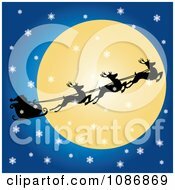 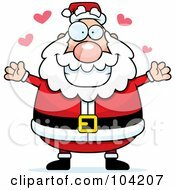 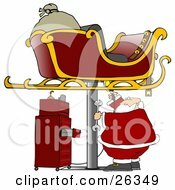 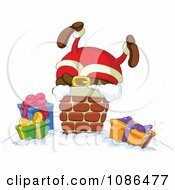 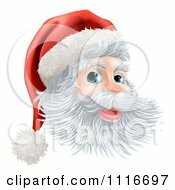 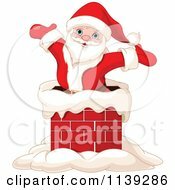 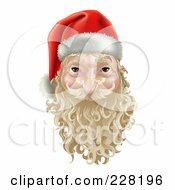 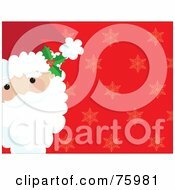 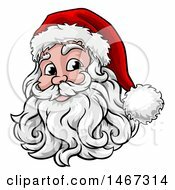 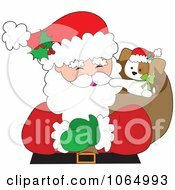 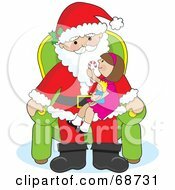 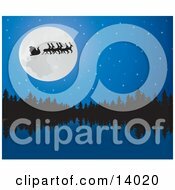 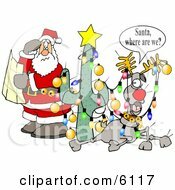 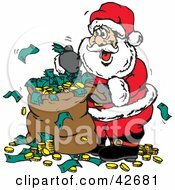 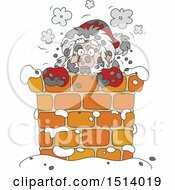 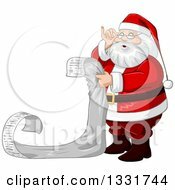 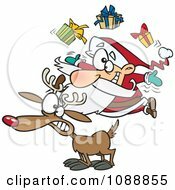 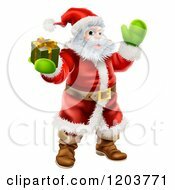 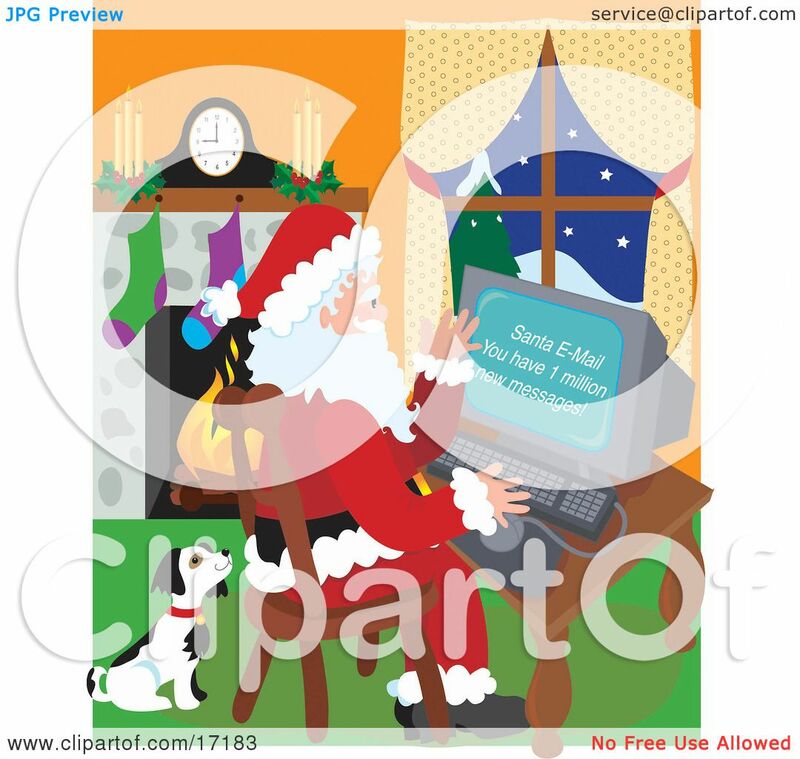 Royalty-free holiday clipart picture of a cute black and white puppy seated beside Santa Claus as he checks his email. 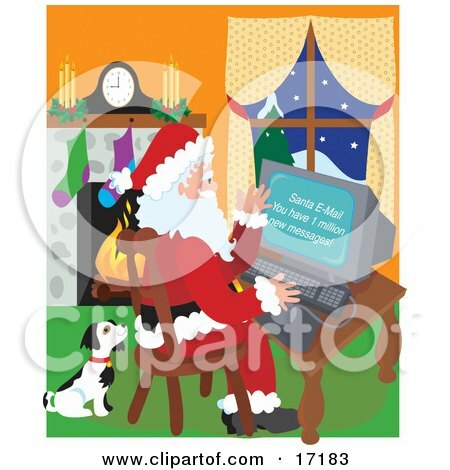 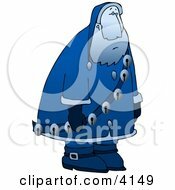 Santa is shocked to see that he has over 1 million emails. 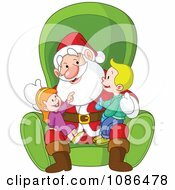 There is snow falling outside the window and a fire burning in the fireplace.